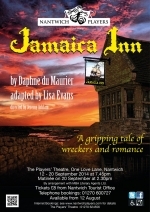 JAMAICA INN by Daphne du Maurier, adapted by Lisa Evans. In Jamaica Inn, at the heart of the bleak Bodmin Moor, young Mary Yellan soon discovers mysterious goings-on in the dead of night. But worse is yet to come as Mary finds herself helplessly ensnared in the deadly activities taking place around her. Evocative, atmospheric and chilling, this new adaptation of Daphne du Maurier's classic Jamaica Inn, has all the hallmarks of a thrilling adventure - murder, mystery and malevolence. Directed by Jeremy Acklam, performances will be at 7.45pm on 10th,12th and 15th - 20th September, 2014, with a matinee on 20 September. 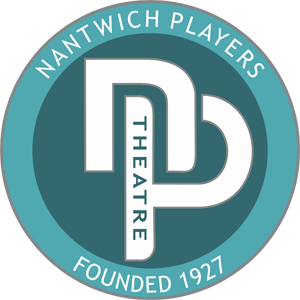 Tickets priced at Â£8.00 will be on sale from Nantwich Tourist Office (01270 600727) from 12 August.